Hey folks! I've spent the last couple of weeks either traveling or preparing to travel, and it's good to be back. I was out in New York for the first time, which was a lot of fun, and I got to swing by Midtown Comics. Their Times Square shop is great, and I recommend it if you ever get a chance to visit. I got a big stack of trades there that I'm slowly making my way through. And on the flight home, the TSA was kind enough to put "Notice of Baggage Inspection" flyers in all of them when they rifled through my checked luggage, so I have plenty of bookmarks, too! On a less Orwellian note, I also picked up a copy of Mighty Avengers #1, and the series seems to be off to a pretty good start. There will be a few very minor spoilers in here, but most of them are about things that have already been unveiled in the previews for the book. Let's get this out of the way first: yes, it's got Greg Land on art for the first few issues. I know a lot of people don't like his stuff, but I'm pretty indifferent to it. I've always been more of a story guy than an art guy, so your mileage may vary. However, his style didn't detract from the book for me, other than maybe his change to Monica Rambeau's (Captain Marvel / Photon) hairstyle. The dreads are gone, replace with a short hairstyle which makes her look like a typical Land girl. Not a great change, but at least there's a story explanation, which I'll get into shortly. Storywise, it's a fairly typical introduction / "assemble the team" book, introducing about half of the lineup the book will have by the end of the first arc. First up are Luke Cage, Power Man (Victor Alvarez, who has taken Cage's old name) and White Tiger fighting a D-list villain while working as Heroes for Hire. 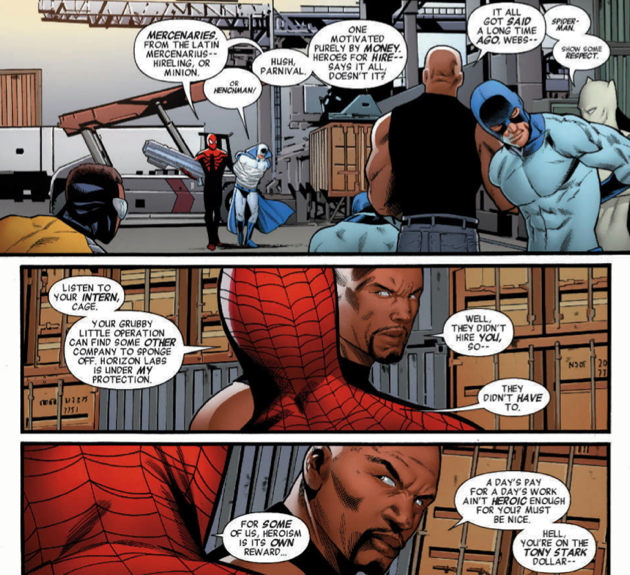 They also run into the Superior Spider-Man, and almost immediately one of the best things about the book is on display: Al Ewing, the writer, has a wonderful grasp of character motivation and voice. Each character sounds different from the next, and they all seem genuine. Luke Cage is written like a dedicated father and husband and Victor Alvarez is written as a teenager with a chip on his shoulder, which is a good start. However, what makes it really great is that Cage talks like a guy who has been that kid before, and understands where he's coming from, with an almost wistful attitude about his youth; amazingly, Land actually sells this in his art, which surprised the heck out of me. 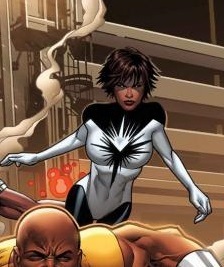 The rest of the characters are similarly well written, with personalities that match histories, including one that might end up being a bit of a surprise to some fans, and might even anger a few of those: Monica Rambeau. Most comics fans know her from the excellent Nextwave: Agents of HATE, where she was a pretty angry character: angry about the kind of crap team she was stuck with and angry about the way she had been shuffled off to the side from the Avengers. Her most recent appearance previous to this in Captain Marvel showed her even being somewhat angry at her friend, Carol Danvers, taking on the Captain Marvel mantle without running it past her first. In this book, she's trying to move past that anger and adopts a new name, costume, and hairstyle to help shed the past. I think it might be one of the more interesting choices, since it returns to the character's roots in a lot of ways; in her time as an Avenger, she was one of the consistently nicest people on the team, acting as a point of view character for the readers a lot of the time. It should be interesting to see how this evolution of the character's personality ends up. The new character find of the decade! All in all, it has the makings of a good book, and that ignores the elephant in the room: it's got a great cast of minority characters. 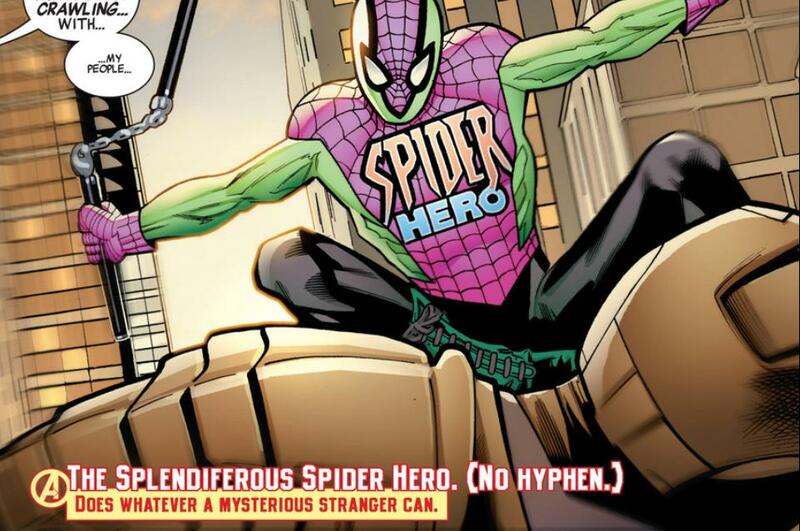 With the exception of Dr. Spiderpuss, She-Hulk (who will be joining in a later issue) and possibly Ronin, all of the characters are black or Hispanic. Marvel is taking a gamble, and I implore you: even if you normally wait for trades, as I do, don't do that with this book. They're trying to do something really great here, and even if their primary motivation for it might be profit, they should be rewarded. Even if it didn't have the makings of a really good book, which it does, it deserves to have a shot.